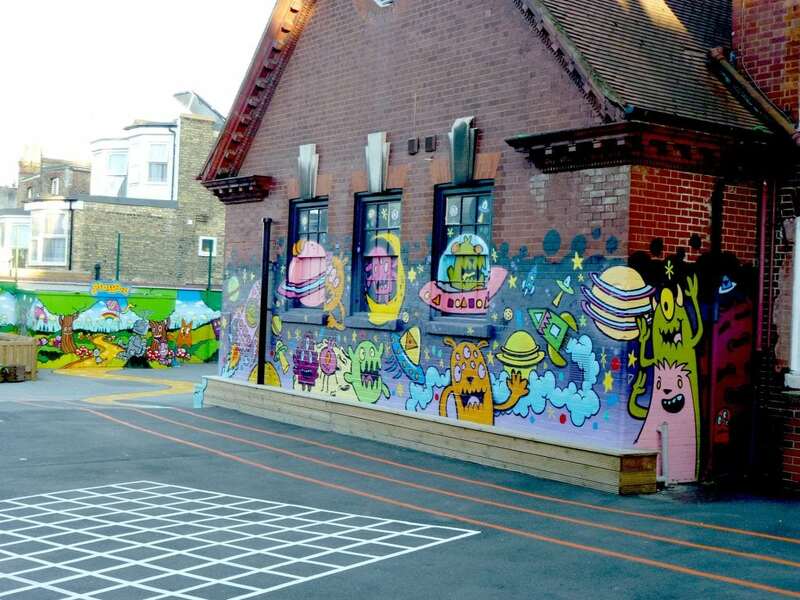 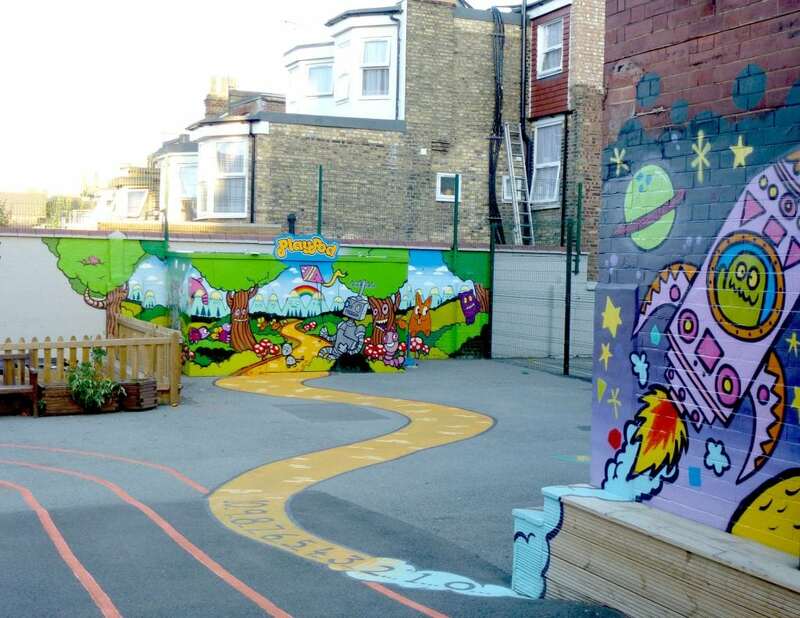 South Harringay Infant School approached us to help transform their dull playground into an exciting vibrant one that the children would love. 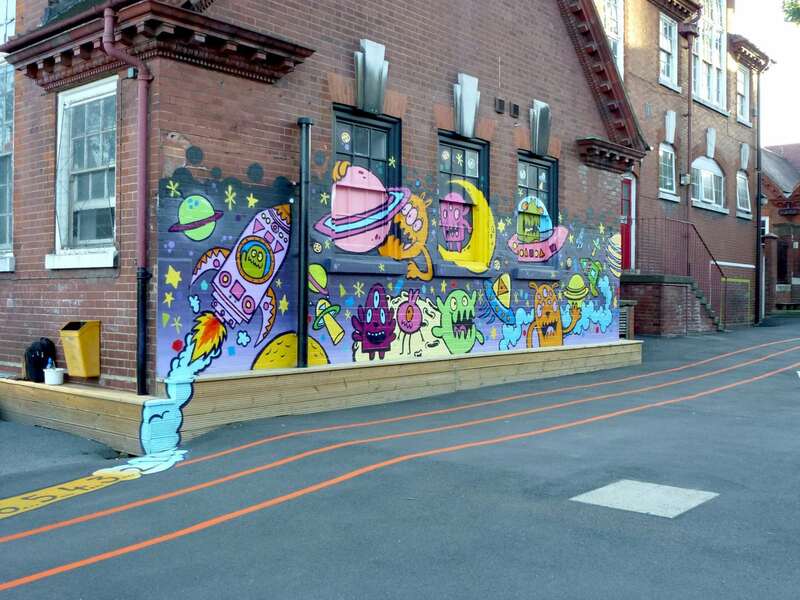 They also wanted us to include an element of learning through the design. 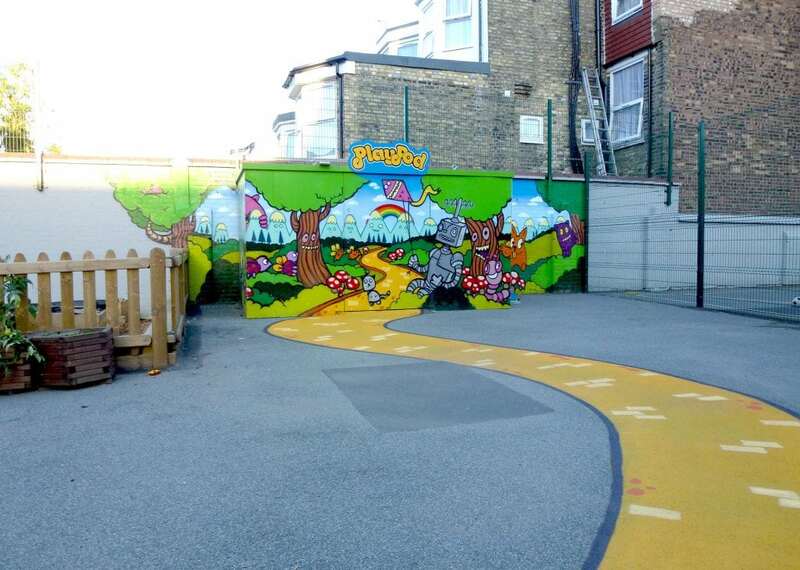 We designed two hand-painted murals to cover two large walls within the playground; the bright and vibrant murals are linked with a yellow brick road complete with numbering to aid counting and number recognition. 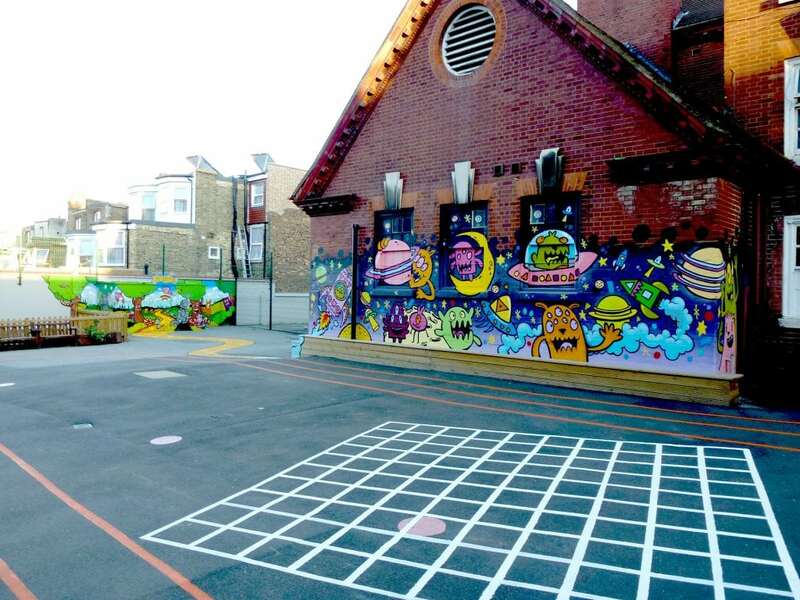 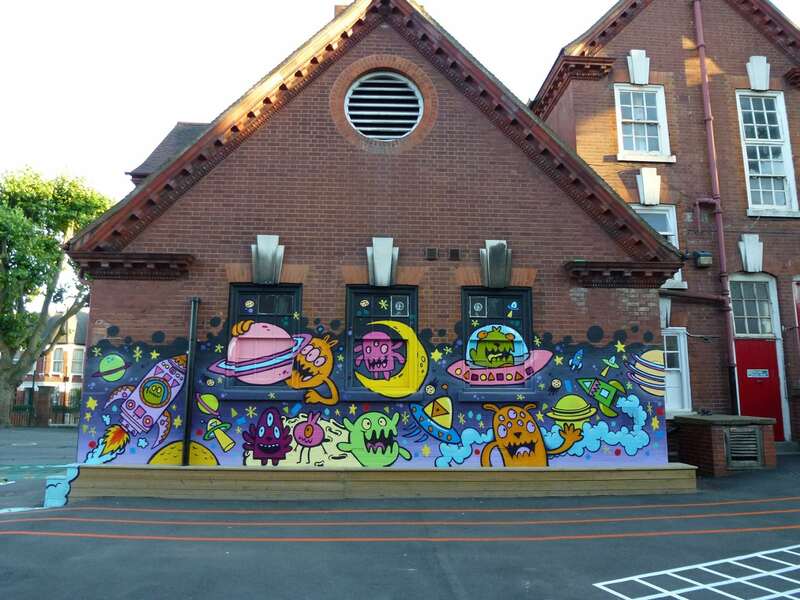 One of the murals is also interactive with stars and other shapes to count, allowing the school teachers to teach maths in a fun way in the fresh air.